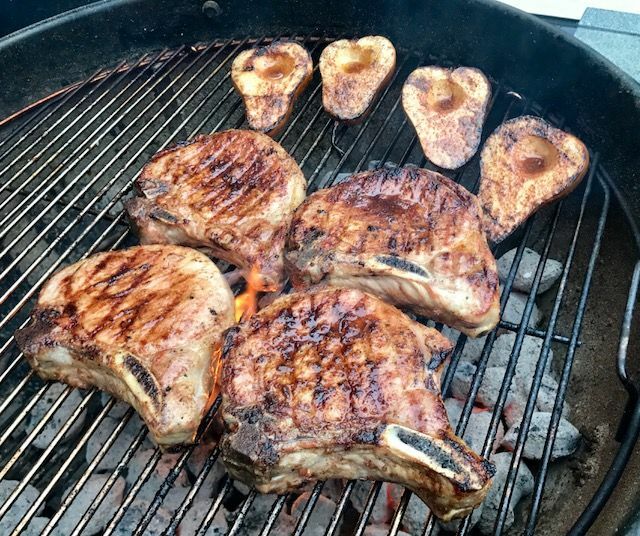 Center cut chops can be bone-in or boneless, and have the best flavor and tenderness when cut at least 1" thick. This thickness helps keep them from drying out during the grilling process. Both will have approximately the same grilling time, it just depends on the thickness of the chop. For a 1" thick chop over direct medium heat, it will take approximately 8-10 minutes. 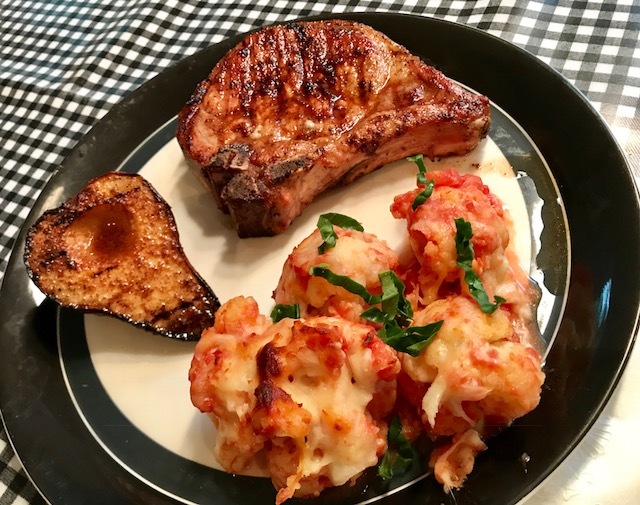 Bone-in chops will provide some protection from over cooking, but you’ll have some bone to deal with (although sometimes the best part). Boneless chops on the other hand, have little waste, and may be more convenient and easier to serve. 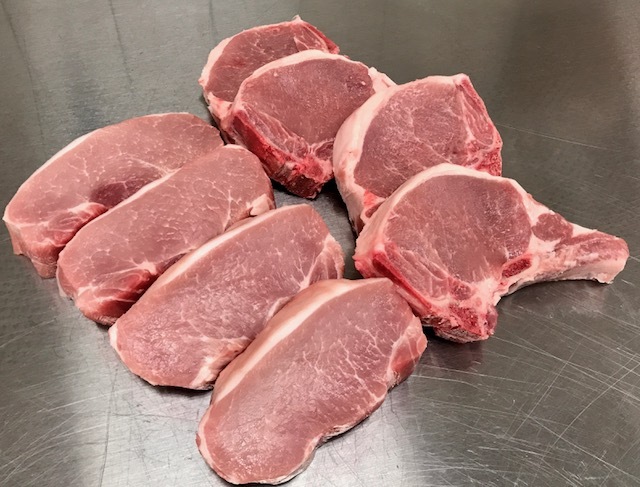 When shopping for fresh pork chops to grill, look for pale, pink flesh, modest marbling, and pure white fat on the chops (remember fat is flavor). Just a few short years ago it was recommended we grill our pork to an internal temperature of 160 degrees, which meant tough and dry pork. 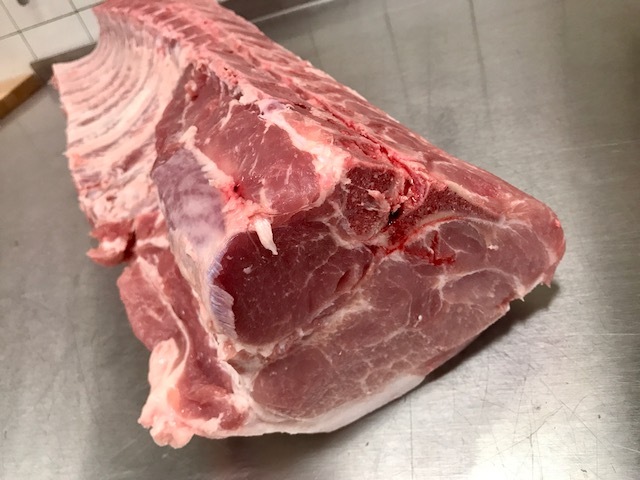 Today, however, pork is raised to be lean and tender. The USDA now recommends an internal temperature of 145 degrees, with a 3-minute rest; your pork may be slightly pink in the middle, but will yield a chop that is juicy, tender, and delicious. Use a Weber iGrill app-connected thermometer to ensure the target temperature every time! Who wants pork chops tonight?? Click here, here and here for a few of our favorite recipes!